Friday was Veteran’s Day and was forecast to be the last nice Fall season day before a Winter storm moves in to ruin Saturday. 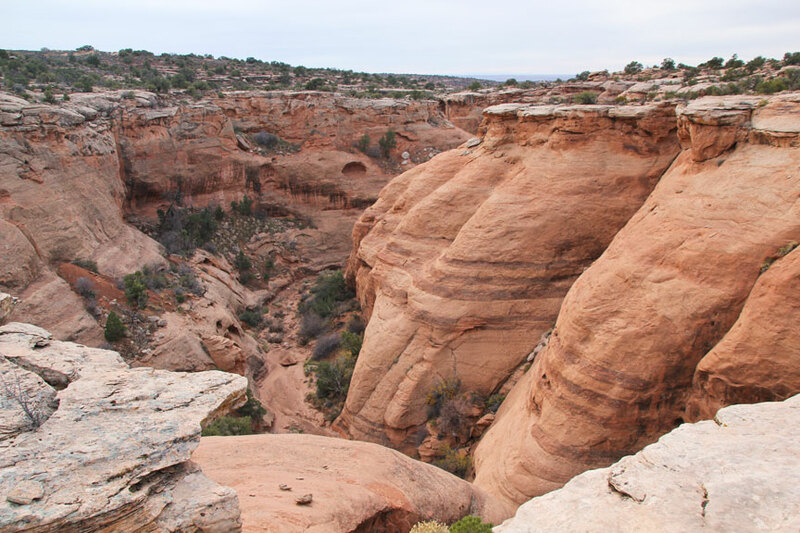 I took the day off so that David and I could squeeze in one more Arch Hunting trip to southern Utah before Winter (and my Winter depression) set in. 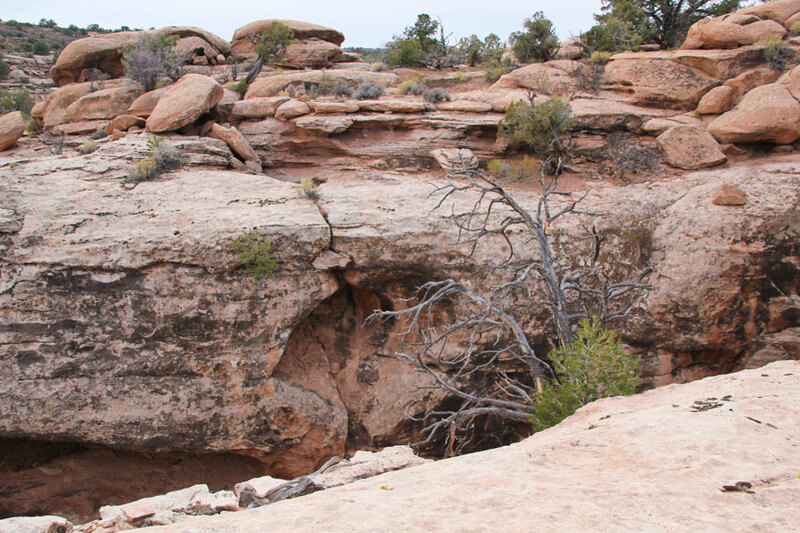 However, Friday morning was seriously overcast in both northern Utah and the Moab area. So much for enjoying a day of sunshine. 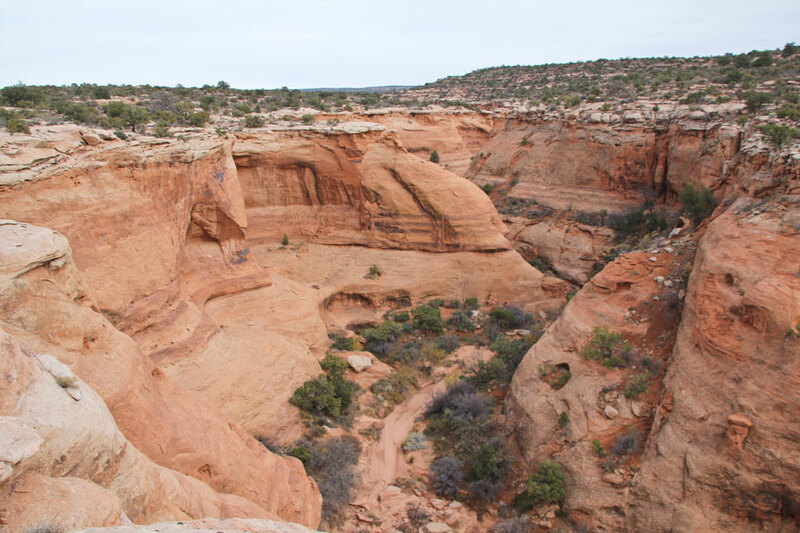 After a couple hours of driving, we found ourselves hiking the north rim of Mineral Canyon, northwest of Moab Utah. 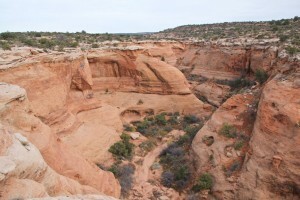 Cloudy or not, it felt REALLY good to be out and hiking the desert canyons again. 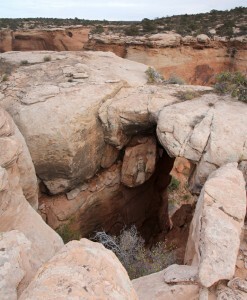 We first visited Split Top Arch, which was a small class ‘D’ arch which cannot be seen from the canyon floor. Next we visited Swallows Nest Arch which turned out to be a class ‘C’ arch. 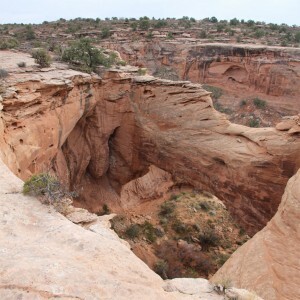 We then encountered Mineral Canyon Arch which seems much larger when viewed from the top which is closer to the arch that where we could view it from the canyon floor. This was a very large class ‘B’ natural arch. 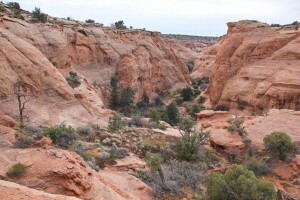 We then made our way over to the northeast and a side canyon to Mineral Canyon. We were looking for something called “Double Doohickey Arch” but we never did find it. 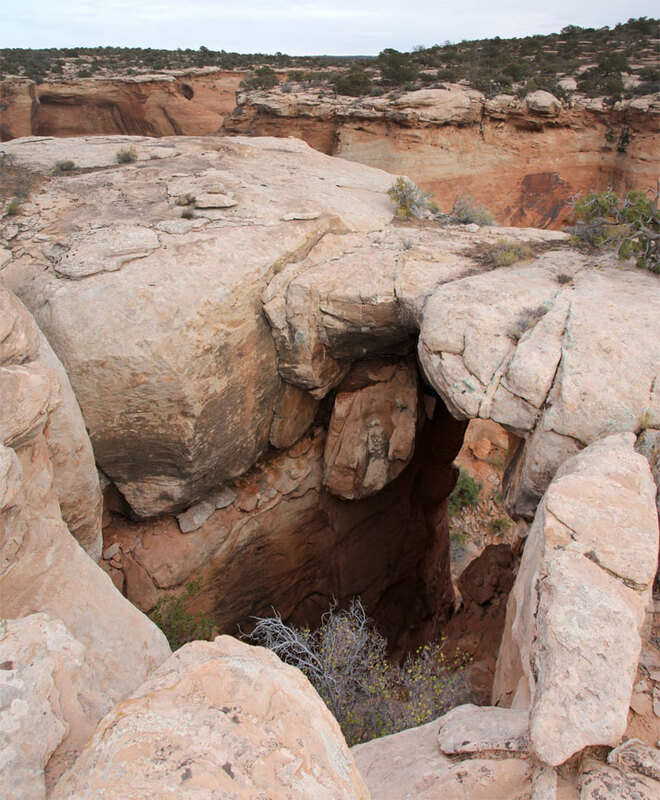 It must be fairly small or not in the correct area of the canyon. November days are short and we didn’t have enough time to visit other arches in the area before darkness fell. Nothing to do in the dark but head for home again.